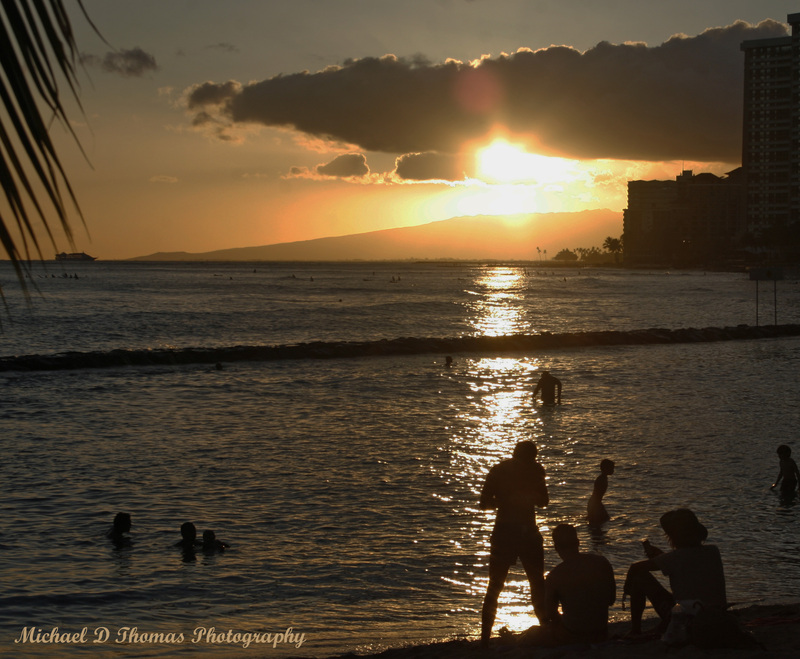 I shot these photos while standing on the pier at Waikiki Beach in Hawaii waiting for the sun to set in hopes that I would capture the elusive Green Flash that I heard so much about. Needless to say that after five nights wishing to see it never appeared. 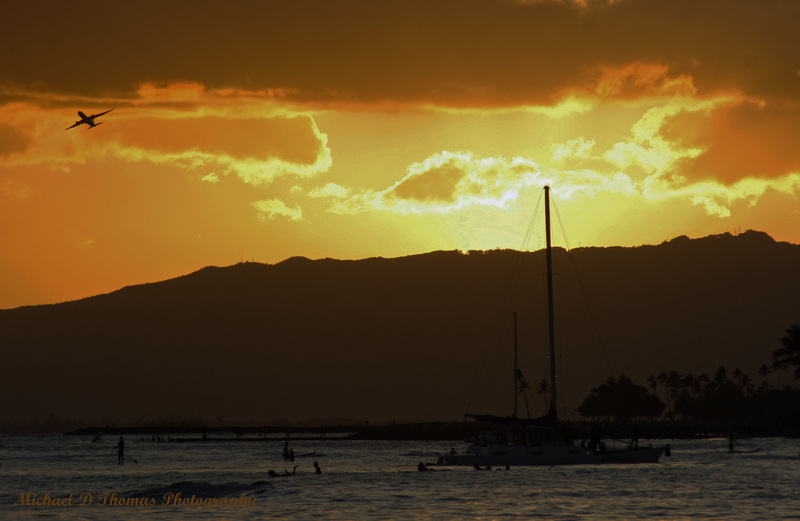 However the sunsets are so beautiful there, that I really didn’t miss it at all! This entry was posted in Photography and tagged Inspiration, Photo Challenge, Photography, postaday, Quotes, Silhouette, thoughts, Weekly Photo Challenge. Bookmark the permalink. I saw it very briefly in Naples FLA. It was cool. But your shots are very lovely! Thank you! I will try again next year and hopefully I will see it. I did speak to some people that have lived there for twenty years that have never seen it,so I don’t feel so bad. Also I enjoyed viewing your site.